Ian Buxton's 101 Legendary Whiskies explores the finest and rarest whiskies in the world: wonderful whisky you're dying to try but probably never will. These drams may be extraordinarily hard to find, impossible to buy or literally the sole survivor of a long-lost distillery - some are even priceless but, for the first time ever, they're assembled here for you to 'savour'.Some are the Ferraris of whisky: luxury thoroughbreds beyond the reach of all but the most fortunate, discerning and wealthy of enthusiasts and collectors. Some are whisky's equivalent to the Model T Ford - once ubiquitous, but now rendered exceptional by the passage of time. 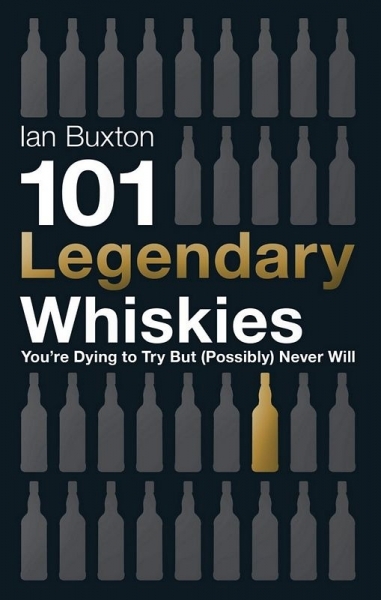 All are legendary.Whether the world's oldest, rarest or most expensive, leading whisky writer Ian Buxton unlocks these liquid treasures and meets the people who make, sell or simply preserve them. 101 Legendary Whiskies shares the secrets of whisky's elite - what makes these whiskies so special, so intriguing and so desirable.